There’s been the stinging ‘Worship Is The Cleansing Of The Imagination’ since, a split with Prurient, and this year’s ‘Suicide Estate’ EP on Hospital Productions. 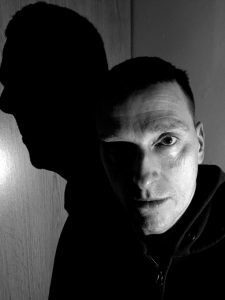 Electric Deluxe had the honour of bringing the next JK Flesh album kicking and screaming into the world – “Rise Above” was released in June 2016, and displayed an move towards a new form of sludge industrial techno. Legendary techno label Downwards, put out the ‘Nothing Is Free’ 12″ single next, complete with Surgeon remix. Forthcoming releases on Hospital Productions, Downwards and Inner Surface are next to come in 2017.